OPI “The Berry Thought of You” (fuchsia) and “Rising Star” (gold). I’m loving the accent nails trend. What do you think – tacky or cool? 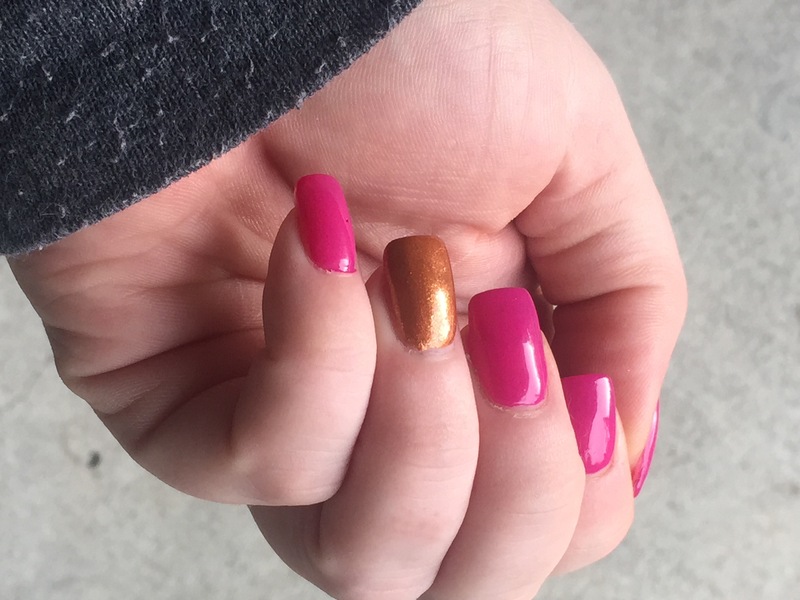 This entry was posted in Makeup of the Day, Nailpolish and tagged accent nail, acrylic nails, gold nailpolish, manicure, nail polish, pink nailpolish by Kristin. Bookmark the permalink. I love an accent nail but I always forget to do it!